What is the difference between laser die cutter and engraving die cutter? The engraving die cutter and the laser die cutter are relatively common products in the die cutting industry, and are generally used to punch out the required die cut product shapes. Its precision is high. The accuracy of the engraving die cutter is higher and can be controlled within ±0.03MM, while the accuracy of the laser die cutter is within ±0.1MM, and the degree of accuracy is obvious. However, the processing time of the engraving die cutter is more than 2 times more than that of the laser die cutter, and the material consumption of the die cutter is much, resulting in the price of the engraving die cutter being much higher than the price of the traditional die cutter. The engraving and milling machines are more commonly used for the processing equipment for engraving cutters. The engraving die cutting machine can be both engraving and milling, and it is an efficient and precise CNC machine tool. 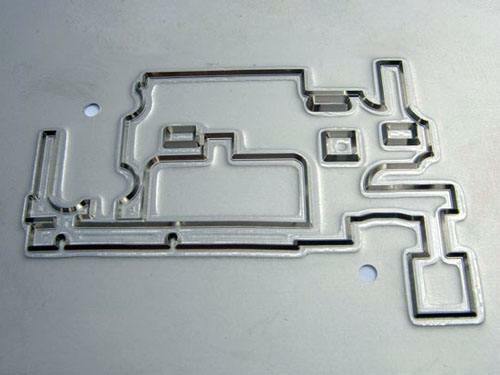 The laser die-cut version is carried out on a computer-controlled laser die cutting machine. It is a method in which the laser is used as an energy source to cut the material of the template by the high temperature generated by the laser. The laser die cutting first needs to input the full-page die cut diagram into the computer, and the computer controls the die cut plate to cut relative to the movement of the laser head. Laser cutting because of the use of computer control, the cutting accuracy of die cutting is very high. However, there are many factors that affect the cutting quality in the cutting process. Therefore, in actual production, it is extremely important to draw lessons from past experience to determine the processing effect.